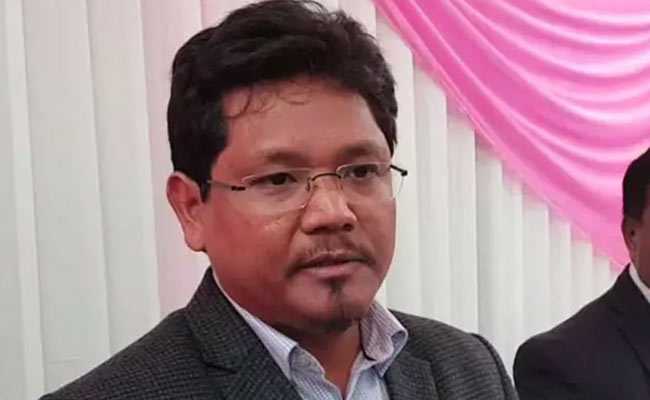 Conrad Sangma, the 40-year-old chief of the National People's Party (NPP), today took oath as the 12th chief minister of Meghalaya as the head of a five-party coalition. Conrad Sangma, with backing of 33 other MLAs, successfully dethroned Congress' Mukul Sangma. New Delhi: Conrad Sangma, the 40-year-old chief of the National People's Party (NPP), today took oath as the 12th chief minister of Meghalaya as the head of a five-party coalition. While the Congress got 21 seats, his party got 19 seats in Meghalaya Assembly Elections 2018. Stitching an alliance with four parties and an independent candidate, Conrad Sangma, with backing of 33 other MLAs, became successful in dethroning Congress' two-time chief minister Mukul Sangma. Talking about the coalition, he said, "Like-minded parties had common interest. All parties came together to work under an alliance." He added that there was anti-incumbency against Congress and most parties who fought the election were against the previous government. Conrad Sangma was born in a political family on January 27, 1978 in Meghalaya's Tura constituency, from where he was elected as the member of the parliament in 2016. He studied at St. Columba's School in Delhi and then went on to Wharton School of the University of Pennsylvania for his graduation in business administration. He then went to Imperial College London to get an MBA. Conrad Sangma's father, PA Sangma, was the founder of the National People's Party. PA Sangma was the chief minister of Meghalaya from 1988 to 1990 and also served as the Lok Sabha speaker between 1996 and 1998. His siblings, James and Agatha Sangma, are also NPP leaders. His another sister Christy has, however, remained non-political. His tryst with politics began in 1990 when he became the campaign manager for his father. At the age of 26, he contested his first elections in 2004 but lost by a slim margin of 182 votes. He contested again in 2008. This time, he won and became a minister in the state government. He got the finance portfolio and was Meghalaya's youngest finance minister at the age of 30. From 2009 to 2013, Conrad Sangma held the post of Leader of Opposition in the Meghalaya Legislative Assembly. After his father's death, Conrad Sangma became president of the National People's Party (NPP) in 2016. In the same year, he got elected to 16th Lok Sabha in a bye-election from Tura. Apart from politics, Conrad Sangma is associated with social work as president of the PA Sangma Foundation. Heis also president of the Meghalaya Cricket Association and Sports Academy. Conrad Sangma is married to Dr Mehtab Chandee and has two daughters.